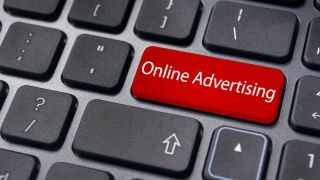 Generating ad revenue today has become more difficult, largely due to detractors such as banner blindness, ad blockers and GDPR privacy regulations. When the digital publishing industry first emerged, many businesses chose to monetise their content through ad revenue. Initially, this made total sense. Rather than charge users for the article or issue they want to view, online properties worked with a handful of companies to sell advertising space to capitalise on user traffic the content was attracting. While this sole method of monetisation proved viable for many years, generating ad revenue today has become more difficult, largely due to detractors such as banner blindness, ad blockers and GDPR privacy regulations. Plus, most online readers simply are not interested in consuming content from a website littered with targeted advertisements. Ads can be distracting and the user experience can suffer if placements are too invasive. While news sites are still far from removing ad-revenue models altogether, a handful of the world’s top publishers, including The New York Times, WIRED Magazine, The Wall Street Journal, and others, are proving that charging readers monthly subscription fees for premium content, coupled with subtle advertising, is practical for digital news companies looking to monetise their content in a predictable and sustainable way. This new form of delivery is known as Content-as-a-Service (CaaS). However, as publishers make the switch to CaaS, they have been met with some difficult challenges. In fact, in a recent Digiday survey, 63 per cent of publishers cite turning their audiences into paying subscribers as a primary business obstacle. To help digital publishers navigate the new business landscape and overcome the challenges they are up against, a helpful industry for them to mirror is the software sector. As the internet became predominant in the early 2000s, software providers were forced to audit how they package their products – a similar situation to what publishers are dealing with now. Some of the world’s largest companies like Amazon, Salesforce, Microsoft and Google quickly realised they could deliver enterprise-class applications through web portals and charge monthly fees rather than trying to sell on-premise software on a per-unit basis. The drastic change resulted in more engaging, and easy-to-use products - not to mention more effective business models. A true win-win scenario, and one that publishers should look to emulate. In a recent eBook from Namogoo, titled Building Subscriptions for Digital Publishers: Insights from 20 Experts, Software-as-a-Service (SaaS) leaders offer helpful tips and tricks for digital publishers to emulate and build successful subscription-based models of their own. In creating an entirely new, subscription-based infrastructure, there are a few different options for publishers to consider. Some choose to partially monetise their sites with ads and offer low-priced subscriptions in tandem, while others opt to deliver an ad-free, premium experience at a higher price point. No matter which direction a business chooses to go with, it’s important that they be self-aware and fully understand the value customers are looking for, and what people are willing to pay to consume content. But before publishers rush into a decision, it is important they understand that patience is key in evolving their strategy. According to Spot.IM CEO and co-founder Nadav Shoval, the most crucial mistake publishers make in transitioning to a subscription-based model is switching without testing how their audience will react. When a publisher chooses to go from free content to a paywall overnight, the business runs the significant risk of losing hard-earned traffic that could prove to be difficult to get back. Quite simply, be patient when it comes to rolling out a service delivery model. Gradual implementations that take user feedback into account are much more desirable than surprising readers with an unexpected paywall. It is critical that publishers understand the long-term goal of building their business with lifetime subscribers and making sure the right processes are in place to execute on that mission can take time. Don’t rush. Choosing to implement an entirely new business model is undoubtedly a strategic and difficult decision to make. It is important that publishers realise the necessary technology changes required to support the new initiatives as well. In addition to providing great content for readers, there should be a key focus on the user experience to acquire and retain new subscribers. To bolster how customers interact and engage with content, businesses often rely on swaths of third-party services to help with a variety of departments, such as marketing, product, customer success, customer support, and more. But, as ironic as it may seem, the same services that are put in place to improve the user experience and overall business can take a toll on the site’s functionality, especially overall website speed, if they’re not closely monitored. According to Namogoo CEO and co-founder Chemi Katz, publishers monetising with subscriptions need to keep in mind that site performance is one of the most pivotal factors that keeps subscribers engaged. With a plethora of third-party tags and ad networks running on publishing sites, it’s important that the bundles of third-party software are not taking a larger toll on the customer experience than it provides. SaaS experts agree that the key to building the most effective service-based model is placing the utmost importance on the most valuable asset of any business – the customer experience. An optimal reader experience stems from publishers creating great content that truly adds value to their audience and is delivered in a way that is thoughtful and smooth. By fully weighing all the options they have at their disposal, from subscription and ad-based business models to third-party add-ons that can enhance the user experience, publishers can undoubtedly generate great results and build successful businesses with subscriptions. If they get stuck, there’s no need to panic – just look to the SaaS industry for guidance and best practices on how to move forward. Software companies already made this same transformation before, so there’s no need to recreate the wheel.